Thank you for believing in our program. We are so excited for Bambi to be going to such a wonderful home. Wishing you all the success with this wonderful mare. Congrat. Bambi has been confirmed by ultrasound to be in foal to Pretty Cool Steps (Grullo stud) for a 2019 foal. Pretty Cool Steps can be found on our website under the Stallions/Geldings tab. Bambi is her barn name. She has such a sweet temperment. 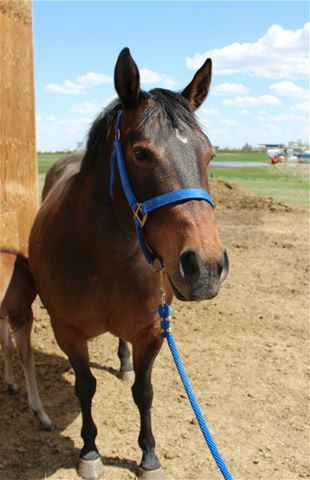 Bambi came to us with experience in the feedlot and some trail riding. Bambi has a super trusting disposition and will do anything asked of her. She is such a pleasure to be around and is so patient with everything. She really takes things in stride and doesn`t get too excited. 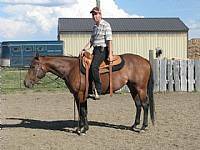 She can easily be ridden in the arena, down the road, in the stubble field or out on the trail with no concerns. We took Bambi to the mountains in the Waterton area and she did amazing. She was so relaxed, crossed streams and bridges she acted like she has been on the trails many many times. Bambi is a true gem. She is always the first to the gate and loves attention. Bambi has excellent confirmation and is extremely athletic. She is very trainable and passes this trait onto her offspring. 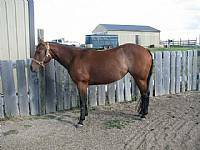 We had initially planned on riding her for a few years but I was very excited to see what she produced so we put her in the broodmare band. 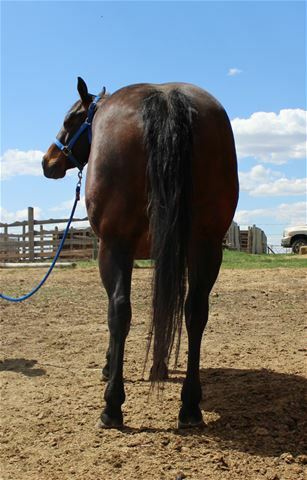 It would not take much of a refresher to get her going again as a riding horse. 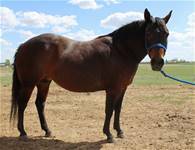 We have retained her 2015 buckskin filly "SB Pepto N Sugar" - she is on the mares tab. 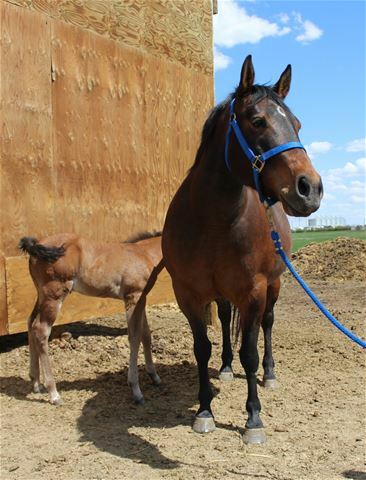 Although Bambi is not a huge mare she always produces foals that are a good size. 4th Place - Pleasure - Maiden Horse (8 Entries with Shawn Showing). 5th Place - Pleasure - Junior Horse (10 Entries with Shawn Showing). 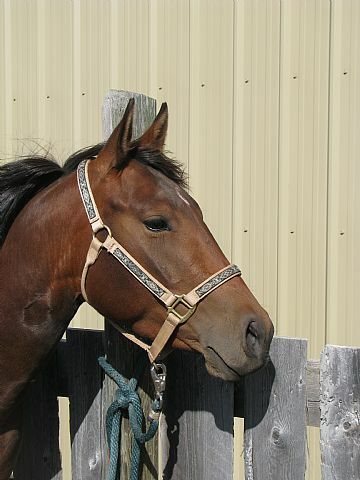 Buckskin '91 - LTE - $25,000.00. - 1995 Congress 3rd Non-Pro Derby. 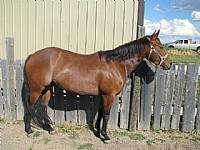 - 1998 Top Ten American Cutting Horse Assoc, Canadian Super Stakes 7-Up Non-Pro Champion, Pacific Northern Exhibition Non-Pro Champion, BCCHA Final Non-Pro Reserve Champion. 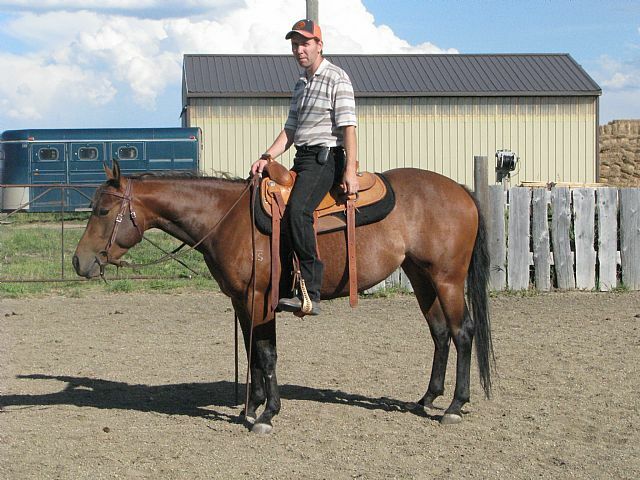 - 1999 Canadian Non- Pro Champion, Winner of two go rounds of the Canadian Non-Pro Finals, Calgary Stampede Non-Pro 3rd (Top Canadian Horse), BCCHA Non-Pro Finals Champion, Pacific Northern Exhibition Champion, Husby Coastal Classic Pro-AM Finalist, NCHA Non-Pro Top 50. - 2000 Pacific Northern Exhibition Non-Pro Reserve Champion and Open Finalist, Qualified for Canadian Finals Open and Non-Pro. - Sire of multiple Money earner performers in several events. Bay '73 - 27.0 AQHA Performance Points. Buckskin '77 - 2.0 AQHA Performance Points. Bay '92 - Unshown due to an injury but is a full sister to four performers. - Producer of NRCHA Money Earners. Brown'83 - 1.0 AQHA Performance Points. 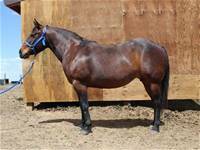 - Sire of two Snaffle Bit Futurity Champions and one Snaffle Bit Futurity Reserve World Champion. - NRCHA, NRHA, and NCHA All-Time Leading Sire. - LTE $54,000.00. 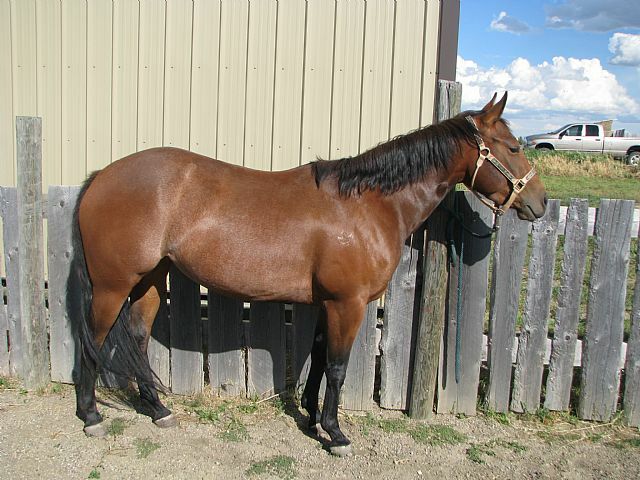 Sorrel '73 - 3.0 AQHA Performance Points. - NCHA Open Futurity Champion. - An Equi-Stat Top 20 All-Time Leading Cutting Sire. - An NRHA All-Time Leading Sire and a Leading Reined Cowhorse Sire, siring the earners of over $5,600,00.00. - An Equi-Stat Top 20 All-Time Leading Cutting Maternal Grandsire. 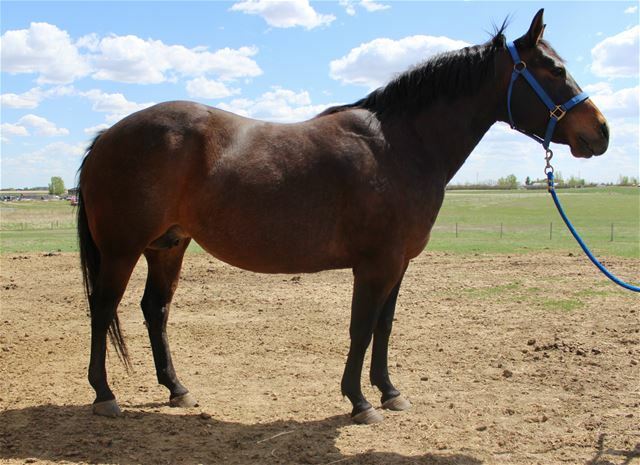 - 2002 Top 10 Leading Reining Maternal Grandsire and a Leading Reined Cowhorse Maternal Grandsire whose daughters have produced the earners of more than $6,000,000.00. Bay '84 2.0 AQHA Performance Points. - LTE - $34,000.00. Buckskin '77 - 1.0 AQHA Performance Points.